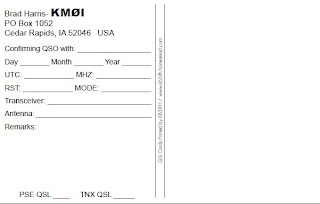 QSL Cards such as these are used to confirm a ham radio contact. I don’t recall ever mentioning this but I am a ham radio operator. It’s sort of like being diabetic. Once you develop either it stays with you for life… but at least being a radio amateur, a.k.a. “ham” is a good thing. At the age of 15 I had the dubious distinction of receiving an “Amateur Extra” license – the highest classification. Back then licensure required passing a comprehensive electronic theory and regulations exam as well as a 20 word per minute Morse code test. In the early 1980s while other kids were playing football, I contacted people on my radio – folks including the late Senator Barry Goldwater and the late King Hussein of Jordan. What a fun hobby! After falling out of the ham radio circle several decades ago, I have decided to again become a part of the local group. Hams are renowned for giving excellent community service including storm spotting, providing excellent emergency communications, and assisting with charitable events such as walks, runs, bike rides, etc. That is compatible with my ambitions as a vandweller and “trekker”. For a techie “trekkie”, amateur radio also keeps a person networked with a lot of techncial folks. Many of the locals, including myself, work or have worked at Rockwell International as engineers and electronics technicians. 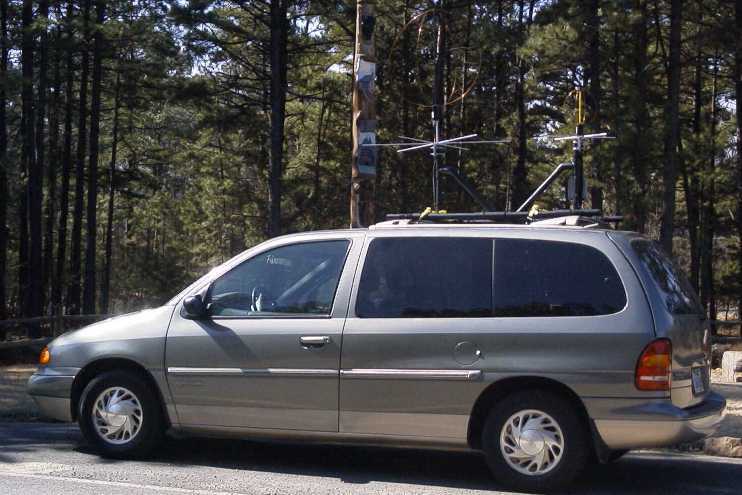 Hams are sympathetic toward all kinds of wacky notions including giant antennas (some of them on cars or vans), building equipment from scratch, and setting up emergency communications stations in all kinds of places – both fixed and mobile. Once a year the amateur radio community participates in an activity called “Field Day” which involves clubs and individuals setting up a temporary stations and contacting as many people as possible – domestically and internationally – by a plethora of different communications methods. It’s a lot of fun! 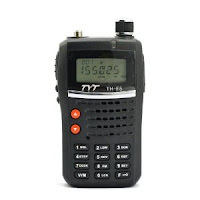 A few days ago I purchased a 2 meter band, amateur radio hand held transceiver. Back in 1980 or so, they cost $500 or more. Now you can get a cheap Chinese version for $50 – $75. The little walkie talkie type device puts out five watts. You can talk to friends directly on the same frequency (called “simplex”) or via a repeater (a device that receives the signal, boosts it, and retransmits it on a different frequency). 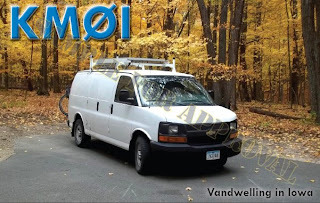 So what is the advantage of having a 2 meter (approximately 146 MHz) radio in the Trekker Van in addition to a cell phone? There are some strong pluses. Cell phones are microwave devices and are extremely limited in range. Just go down in a valley and you are out of luck – no reception. You might have to venture a couple of miles or more to find a better signal. A 2 meter transceiver uses VHF frequencies which propagate easier, giving you a lot better chance of being able to contact someone. Like a citizens band radio, ham radio transceivers don’t cost you anything to use. There are no roaming charges or monthly charges and most of the repeaters don’t even require a membership. Simplex (direct transmissions between users) are free. With ham radio, you are accessing a terrific group of people – folks who take pride in their hobby, do not use foul language (like you find on citizens band channels) and pride themselves on being helpful to each other and the community. How helpful? Say you have a flat tire in the valley while fishing and need help. 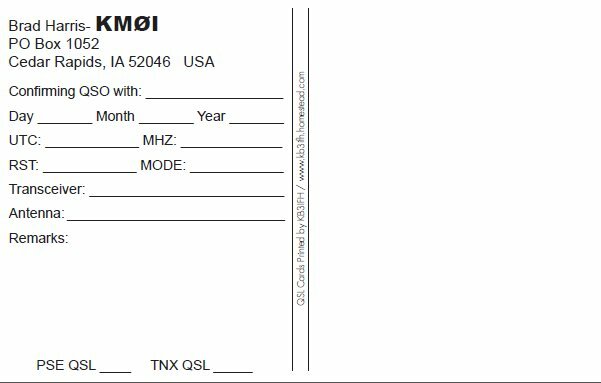 With a ham radio you can simply access a repeater and ask for someone for assistance. If he or she doesn’t offer to come and help, it’s very likely that the person will know folks that can aid you or perhaps can help you find mechanical assistance. Did you forget your map? A local ham will give you directions – all you have to do is ask. They are glad to do it. Being an amateur radio operator can also add a little credibility with Johnnie Law. Most of us who live in vans are considered to be a bit odd or sketchy. Should you be approached by a cop, identify yourself as a ham radio operator during the converstation. I can’t see how it would hurt your case at all. Law enforcement and other emergency agencies have a great deal of respect for the contributions of the amateur radio community and know that hams are not likely to be making meth or stealing kids with their cargo vans. Associating with amateur radio operators provides a great deal of positive networking that can help your living situation, too. Should you need to find a place to dwell in your van, there are many rural ham operators who have farms and acreages. One of them might rent you a little space to park your “mobile ham shack” on his land and not think you are some kind of lunatic for living next to a computer and HF band radio. They might be sympathetic to power needs, too! By the way, I wasn’t the only amateur radio nut in our house. My mother was a ham radio operator though only made one contact. Her callsign was KAØNBZ. Sometime around 1980, Mom wanted to get her Novice class license. I helped her learn the regulations, theory, and practice more code. She was cheered on by many of the engineers in her department at Rockwell International in Cedar Rapids. Mom was so excited when she got her license and tapped some out Morse code…then decoded and understood what came back through the speaker of my Yaesu FT-101B. I’m looking forward to copying Morse code once again! Bradford, has a friend at one time who took me to the “HamVention”. It was held once a year and I went with him 2 of those years. Have you heard of those? They are fun to go to – big swapmeets with lots of new and used equipment. I can’t wait to go to the next one. LOL… Sorry, but without spacing, I can’t decode it…. Actually, I double spaced between letters, but it’s hard to tell. It simply says “good post”. Maybe I should check to see if there’s software that translates typing to Morse code! I guess there must still be a use for it in today’s age, but thankfully, the days of the telegraph are (mostly) over! (Watch. Now someone will ask “What’s a telegraph?”) Ha! Not enough cowboy flicks in their past!